Imagine the stress of a household move and multiply it by ten. That’s what you can expect when relocating your office with a sub-par moving company. With all of the furniture, sensitive electronics and documents you’ll need to relocate, you shouldn’t settle for anything less than the best when selecting San Clemente office movers to help you with this daunting task. Since 1972, Coast Valley Moving & Storage has helped businesses like yours move from one office to another. With a crew full of skilled movers and state-of-the-art resources provided by our partners at Wheaton World Wide Moving, we’ll execute your project in minimized downtime without breaking your bank. As a leading San Clemente office moving company, Coast Valley goes above and beyond to ensure you feel no stress or anxiety during the process. We first start by providing you with an accurate on-site estimate of costs to ensure there are no surprise charges on the final bill. Once that’s handled, a move coordinator will swoop in to be your primary point of contact. This highly-skilled specialist will work with you throughout the journey to ensure you’re comfortable and that all of your questions are answered. We understand that halting operations to complete an office move isn’t ideal, so we work tirelessly to get your company up and running in its new location in no time. Because our affiliation with Wheaton World Wide Moving provides us with the most advanced equipment on the market, we’re able to relocate all of your modular furniture and computer servers in breakneck speed. Trained in the most advanced moving and packing techniques, our San Clemente office movers will ensure no damage is dealt to your items. To ensure all of your needs are met, we offer a full slate of comprehensive office moving services. From electronics moving to commercial storage, we’ll do anything to ensure your relocation is as stress free and streamlined as possible. Our San Clemente office moving services include computer/electronics moving, corporate relocation, local or long distance moving, commercial storage and much more. 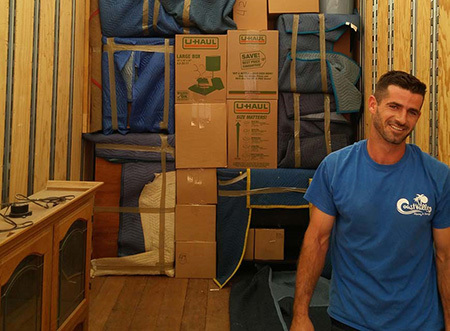 For more information on our business moving capabilities, contact Coast Valley Moving & Storage today. Give our San Clemente office movers a call or fill out our online form for a free quote!